With immense growth in technology, people are becoming more tech savvy and using the internet to find out various health-related resources and information. Nowadays, the healthcare industry is becoming digital and growing more user-friendly by implementing the latest tools and technologies. With the growing popularity of healthcare websites, it has become necessary for medical organizations and hospitals to link IT systems with the websites to make it more efficient and streamlined. 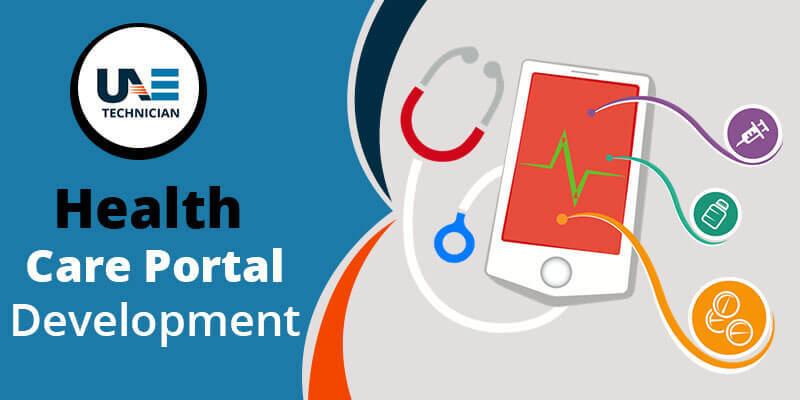 Thus, if you are related to the healthcare sector and need an online presence, check out our interactive Healthcare websites portal development services. If you are looking for a trusted Healthcare portal development company in Dubai, then trust our company. Web developers at UAE Technician will design the medical websites for your health organization with appropriate application of design and technology and effective use of medical contents. Take extra care of the technical aspects of the web portals and do all kinds of 3rd party integration to make your website a hub of your operations. Our web developers are expert in developing healthcare websites for your clients as per your requirements. We hear your needs and offer high-end solutions for developing highly integrated systems. Get in touch with us by calling us at our helpline number: 042053349 and seek suggestions or assistance from our web developers for your Healthcare websites. You can choose to send us emails regarding your concern and we will answer all your queries. Feel free to talk to our professionals through live chat facility and get an immediate response from our professionals. We are among the best service-providers for Healthcare web portal development in Dubai. We also provide E-commerce portal development service in Dubai.